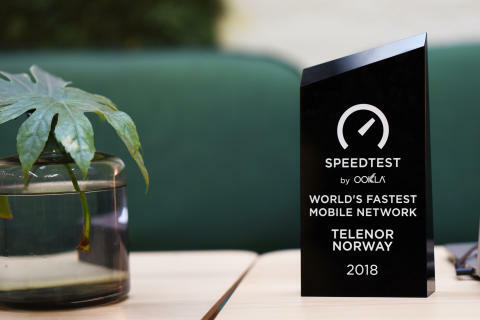 (Fornebu, 17 January 2019) In August last year, Ookla announced that Telenor had the world’s fastest mobile network. The result was based on measurements from the second quarter of 2018. According to new results, Telenor had the world’s fastest mobile network on average throughout 2018. I august i fjor annonserte Ookla at Telenor hadde verdens raskeste mobilnett. Resultatet var basert på målinger fra andre kvartal 2018. Nye tall viser at Telenor hadde verdens raskeste mobilnett i gjennomsnitt gjennom hele 2018.